In general, cash flow management is one of the factors that determine the financial stability of any business. When customers delay or avoid paying invoices, any company could face cash flow difficulties. Invoice factoring enables businesses to sell outstanding invoices in return for working capital – the capital used daily in trading operations. For many, it can serve as a viable alternative to traditional bank loans and credit exhaustion. On any given day, businesses manage incoming and outgoing payments. While slow sales may contribute to cash flow difficulties, the problem often begins in receivables. Some customers will always wait until pressured to pay their balances. Credit terms and repayment plans cause additional delays in receiving your payments. Over time, the gap between receiving payments and paying operating expenses could leave significant gaps in cash flow. Bank loans and lines of credit. A bank loan could require some form of collateral and have interest rates associated with them. For certain business investments, like equipment loans, this option may make sense for your business. An amount of credit can also be borrowed, with interest being paid on what you use. Investor funding. Investors who believe in a business model may invest in the business. But, they usually expect something in return. Using investors could work for your business model, and most investors expect rates of return for their capital. To use investors, businesses should first find willing investors and then agree to their terms. For cash flow management, other options may work better. Invoice factoring. While invoice factoring will not give businesses money for free, the alternative to borrowing may make sense for your business needs. By selling invoices to a factoring company, businesses can better focus on long-term cash flow management without sacrificing collateral or creditworthiness. Each of these tools can assist in cash flow management, but businesses must carefully examine the costs and benefits in each alternative. For many, invoice factoring is a tool that can help businesses focus on new sales instead of collections from old sales. In an invoice factoring arrangement, a factoring company uses several pieces of financial information to make a credit decision for the business, and then makes an offer to pay for a certain percentage of the total value of outstanding invoices. If a business accepts the terms, it sells the agreed upon invoices to the factoring company at a discount. The factoring business handles collections activities only until it receives payment. In a successful arrangement, invoice sellers receive working capital and factoring companies claim receivables (to the point of repayment) and any additional factoring fees. Businesses can sell all or a subset of their invoices to receive money upfront. Once in place, the business can use the capital to move the business forward and correct cash flow challenges. Factoring companies often offer their services on recourse and non-recourse bases. In a non-recourse arrangement, the factor assumes the risk of customer insolvency. In a recourse arrangement, the business seeking cash flow maintains responsibility of customer insolvency. Consider recourse arrangements as forms of insurance. Businesses that want their factors to accept a higher degree of risk will pay more for factoring services. Invoice factoring fits into many business growth models. Some businesses use the service as a stopgap for unexpected delays in payment processing. When businesses can’t pay taxes, employees, or overhead expenses, they cannot stay afloat for long. Invoice factoring capital removes the stress of collections so organizations can move forward without incurring further debt and/or penalties. Others use it to strategically grow sales without waiting on returns from accounts receivables. In other words, if you don’t have to wait on Customer A to pay a $15,000 invoice, you can focus on generating sales for twice or three times that value. Over time, a business can generate enough sales to easily manage cash flow from quarter to quarter. The small percentage a factoring company takes is an acceptable investment in this type of revenue generation strategy. Since other cash flow solutions involve long-term repayment arrangements, invoice factoring may make more sense. It helps businesses keep moving forward so they can avoid the consequences of defaulting on a loan or credit repayment plan. Research factoring companies. Partner with companies involved in professional organizations such as the International Factoring Association. Professional organization membership can indicate a certain level of credibility and trust. Talk to references and ask any and all questions needed to clarify the terms of a factoring relationship. Run the numbers first. Like other forms of capital advancement, invoice factoring is not free money. Businesses do give up a certain percentage of the invoice for the use of the service. Create a plan for future cash flow management to avoid falling into a cycle of failure. Use an ongoing partnership with an invoice factoring company as a strategic growth tool, not a crutch. Manage the partnership proactively. Work to increase the return rate of your receivables for lower factoring rates over time. 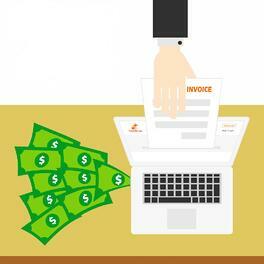 Successful invoice factoring can work for or against a business. Maintain open lines of communication with your factoring company and watch as your company thrives. At Bay View Funding, we provide invoice factoring services to businesses across a number of industries. We are committed to helping businesses find financial sustainability through the use of strategic invoice sales. With decades of experience in the field and a passion for the success of the businesses we serve, we look forward to the opportunity to help you reach your financial goals. Contact us today to see if you qualify for our trusted cash flow opportunities.